Patent Pending HDMI Latched Screw on Connector. 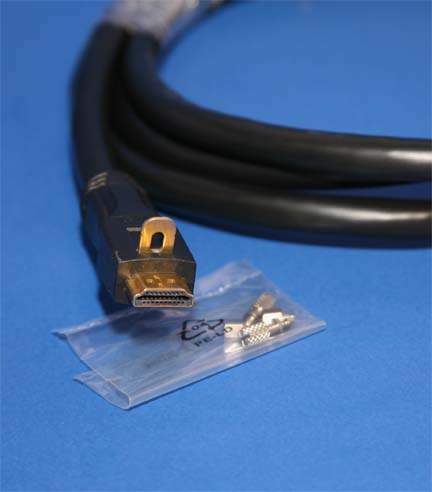 Premium Style Cable Designed to Screw into the Case on High End Devices Including Displays and Amplifiers. Simple Installation Keeps Cable Securely Fastend in the back of the Device. This allows installation and Removal without the cable falling out. Really a time save when installing Professional Video Equipment.